What is Australia Day to you? About 40 years ago a group of Aussies were attending a college in the USA. They were a little tired of all of the holidays that the American students celebrated in their country. They decided to convince the college administration that Australia Day was an important day for them. They wanted to be excused from classes for the day. After much discussion they were given the day off. The problem was they were unsure which day was Australia Day. They argued over the date. 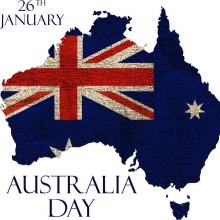 Remember it was only in the late 1980s that Australia Day became such a big event in the Australian calendar. Before that it was just a day off or a long weekend. Now we have events all over the country. In Sydney, my home town, they have free concerts, ferry races and many people go through naturalization ceremonies. It should be more than just eating lamb on the barbie, or going to the cricket. It is a time to reflect on who we are and why we have so many blessings. It is not by accident that we have such an amazing country. We need to remember that Australia is a recipient of the promises to Abraham, Isaac and Jacob.The amazing story of the rise to greatness of Australia begins some 4,000 years ago with the biblical patriarch Abraham. The United Church of God has clearly taught that Australia is part of the Biblical promises given to Abraham. 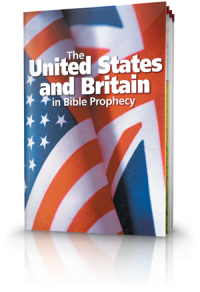 To understand more about this biblical story please read our free Bible Study Aid –The United States and Britain in Bible Prophecy. Australia Day is not a time to think how great we are. We should, instead, reflect on the blessings of a Great God – brought to pass just as He promised thousands of years ago. 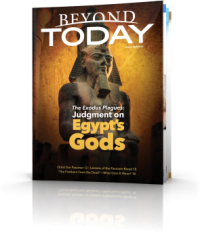 We also need to understand that the same prophecies also warn that, if we as a people do not follow His teachings -- the laws of God as defined by the Ten Commandments -- or give honour to our God, we will lose those blessings. That instruction is most applicable and relevant for us today and something on which we should reflect on this Australia Day. It is a shame that more and more people reject any notion of the blessings from God and talk about the greatness of our nation as if we achieved this on our own. God warns that we will lose those blessings if we have this pride in our own power. Vs 17: Then you say in your heart, my power and the might of my hands have gained me this wealth. On Australia Day we can all reflect on the accuracy of the prophecies regarding Australia as part of modern Israel today. 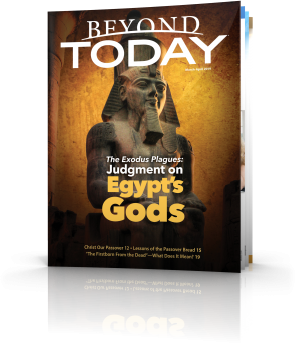 However, we are to remember the warnings given in Leviticus 26 & Deuteronomy 28 where there are consequences for neglecting God as the One Who gave these blessings. On January 26 it is good to rehearse: Who we are and where we came from; To personally honour our God by obedience to Him in our personal lives; To change our thoughts towards Him and give Him thanks for living in a country of such peace, abundance and blessings. And, most importantly, don’t forget to give God thanks for His faithfulness to Abraham.